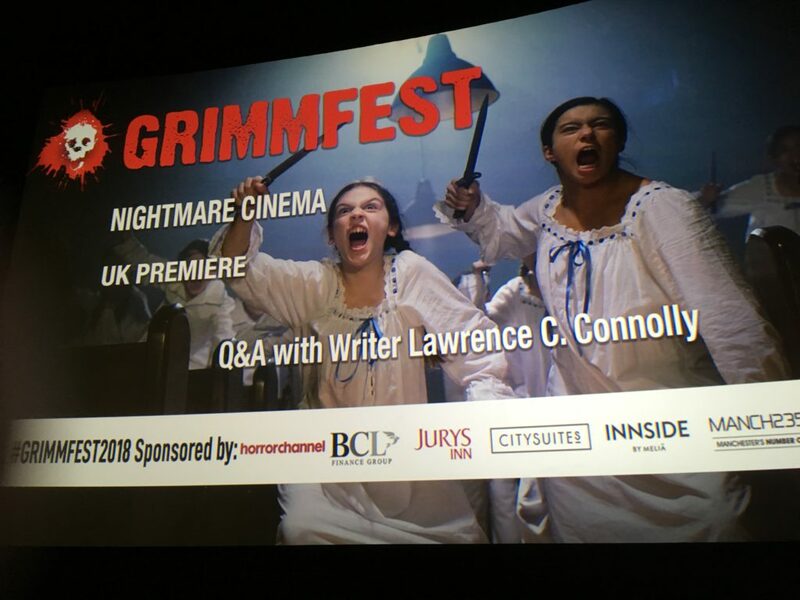 Nightmare Cinema screened last night before a packed house at the Irish Film Institute. 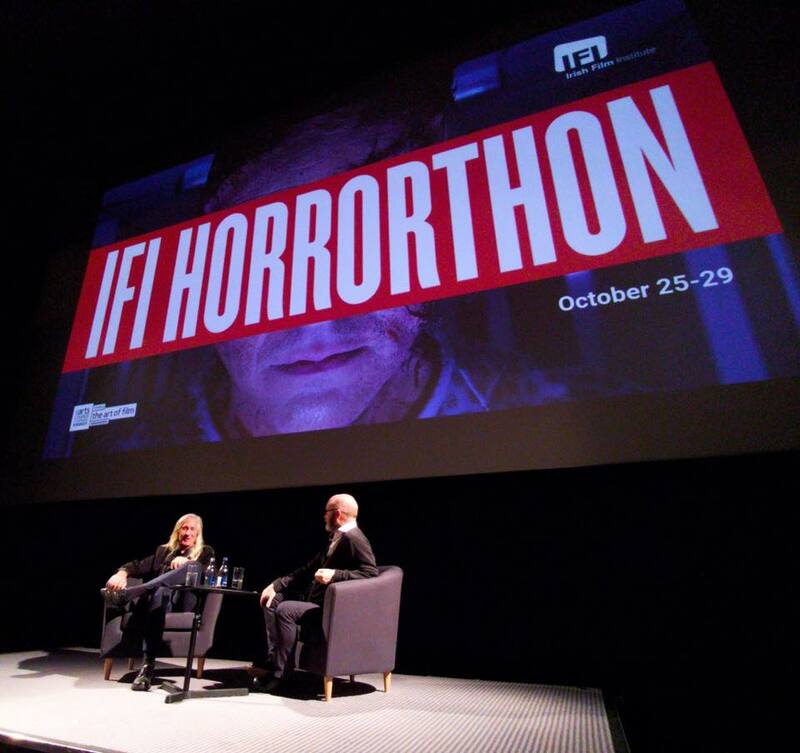 The event included a Q&A session with producer Mick Garris, who will also be screening … [read more at The 21st-Century Scop]. 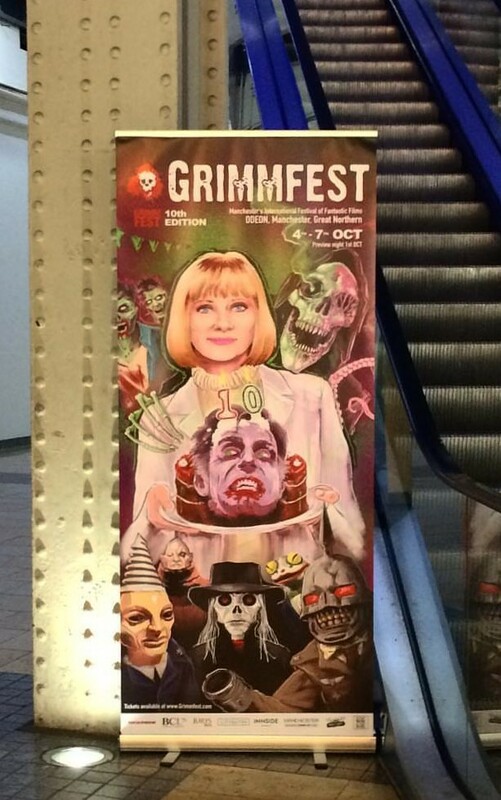 At left, a banner featuring Grimmfest Guest of Honor Barbara Crampton, stands at the foot of an escalator leading to the Odeon Cinema. The renovated industrial site bears a resemblance to the L.A. locations for “This Way to Egress” … [read more at The 21st-Century Scop]. 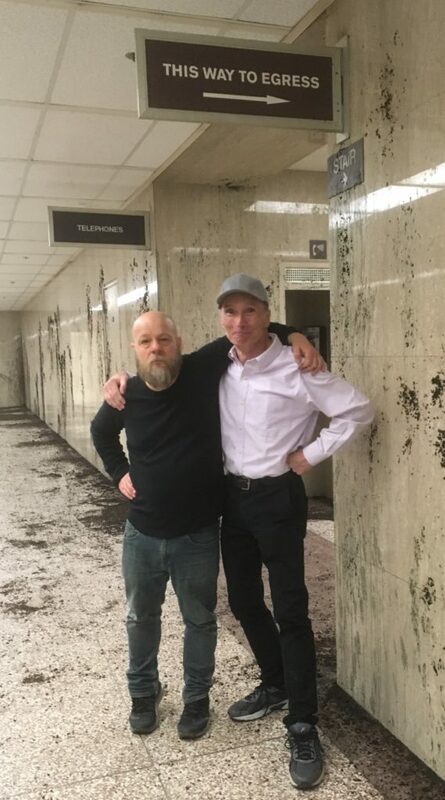 Saturday was the day it all came full circle, some 18-years after two young filmmakers from Sheffield reached out … [more at The 21st-Century Scop]. Eight years ago, the collection This Way to Egress (Ash-Tree Press, 2010) was released at World Horror in Brighton. Featuring a cover illustration by Jason Zerrillo and a re-edited version of “Traumatic Descent” (retitled “This Way to To Egress”), the book launched along with four other Ash-Tree titles: Pieces Of Midnight by Gary McMahon, Tragic Life Stories by Steve Duffy, Walkers in the Dark by Paul Finch, and Lost Places by Simon Kurt Unsworth. The five-title book launch was organized by Ash-Tree’s Christopher Roden and proved to be one of the most successful book events I’ve taken part in. It drew quite a crowd, helped along by the presence of Barbara Roden, who was also on hand to sign copies of her collection Northwest Passage (Prime Books, 2009). Sales were brisk, and friendships … [more at The 21st-Century Scop]. Powered by WordPress and delivered in 0.247 seconds using 49 queries.